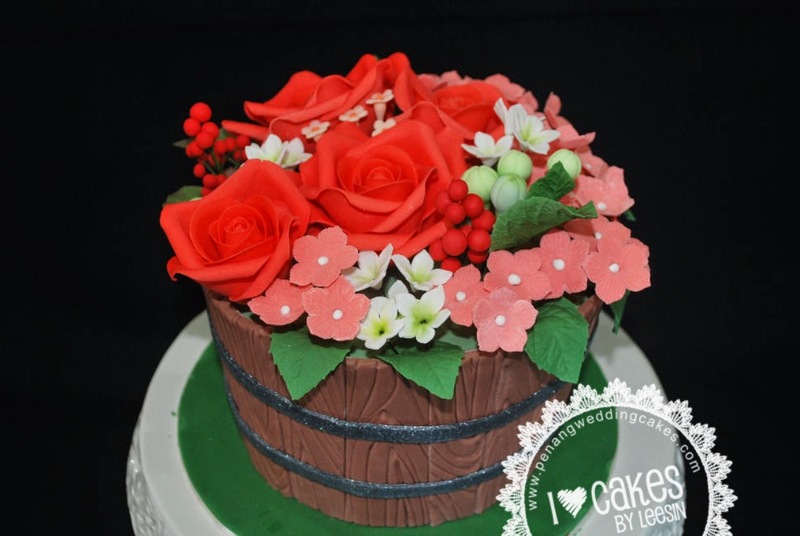 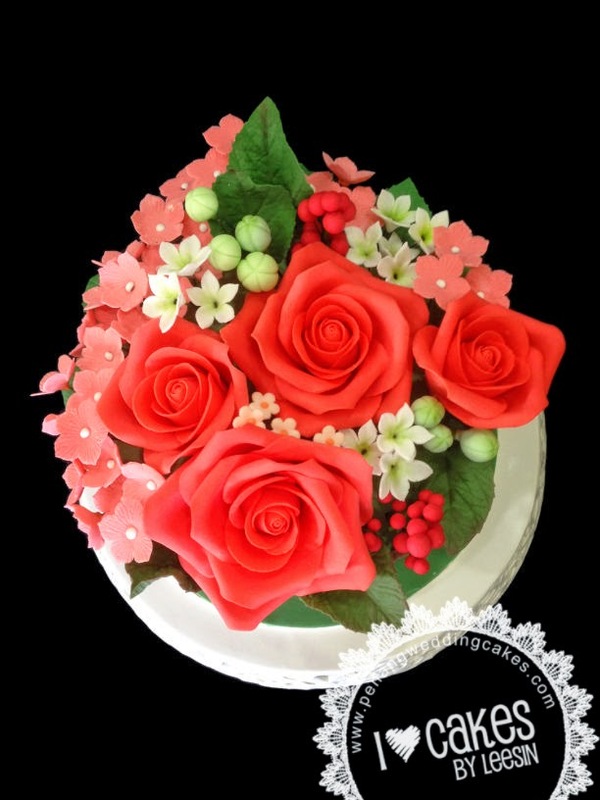 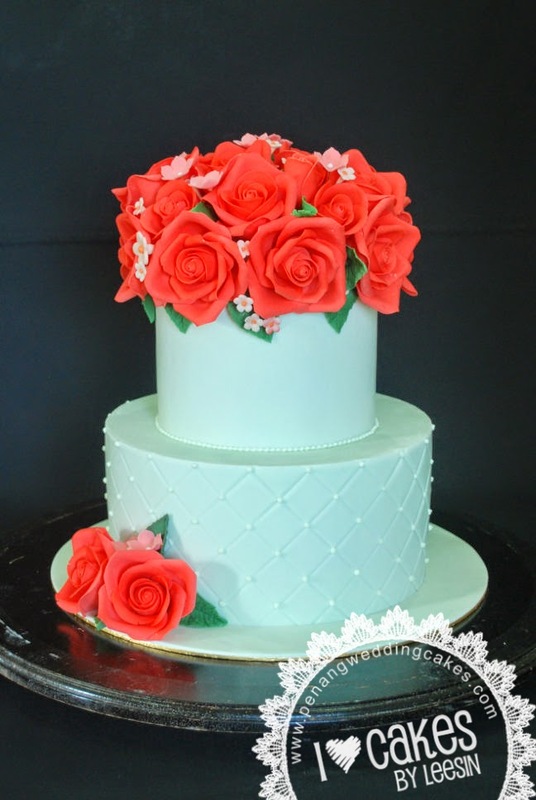 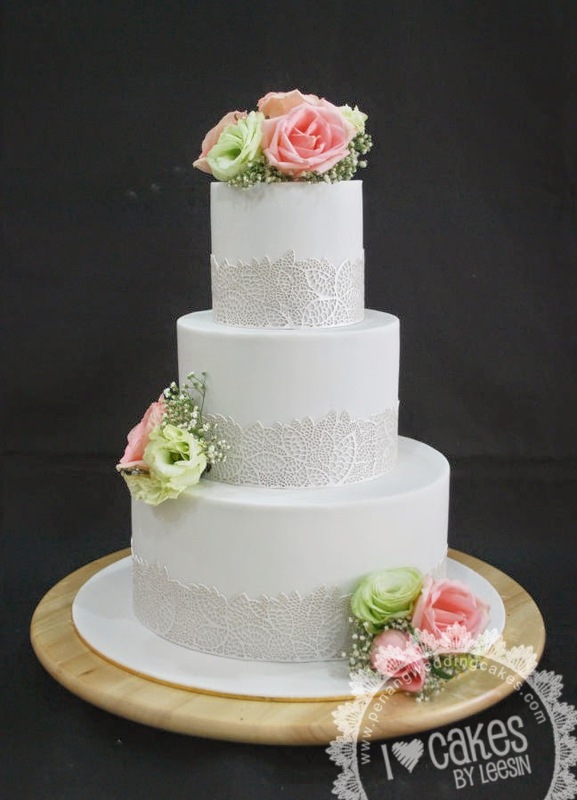 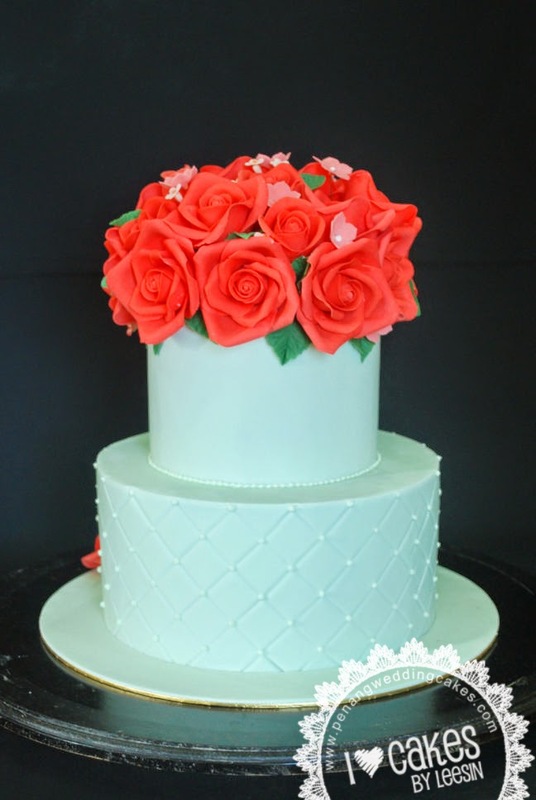 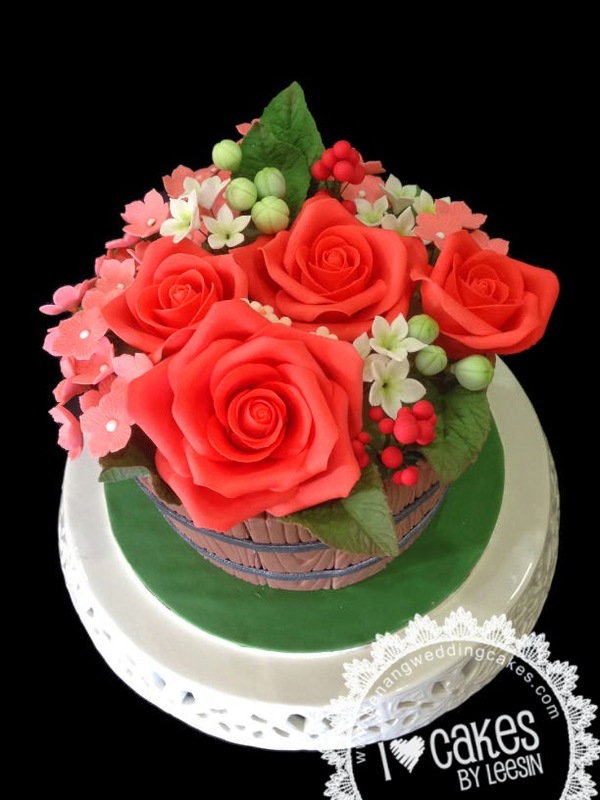 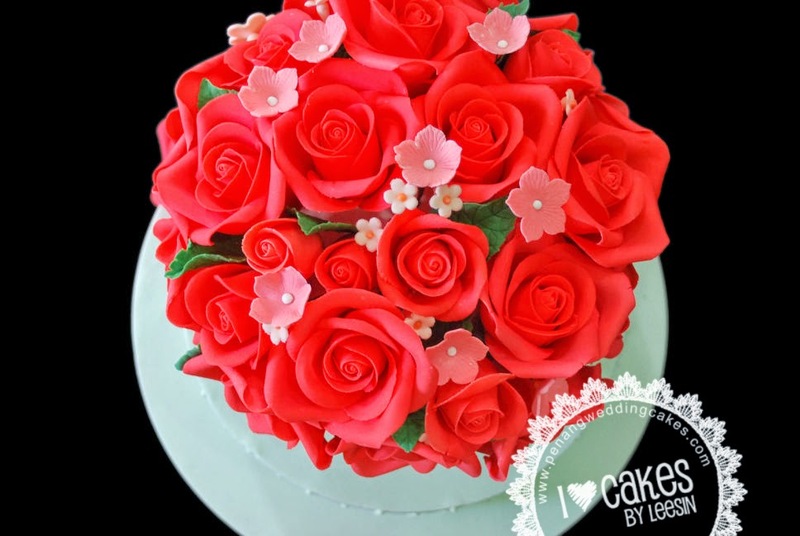 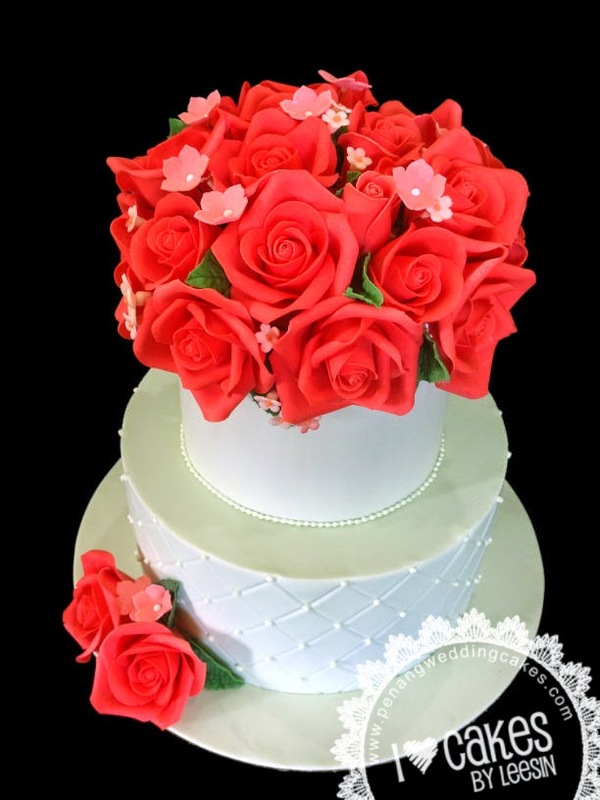 A returned customer commissioned a wedding cake and a 'hantaran' cake with the same theme colors and flower.....coral and mint green colors. 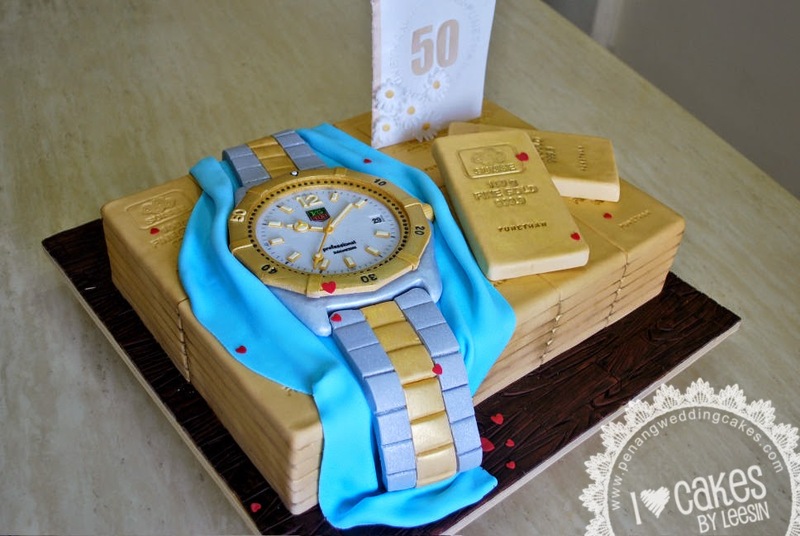 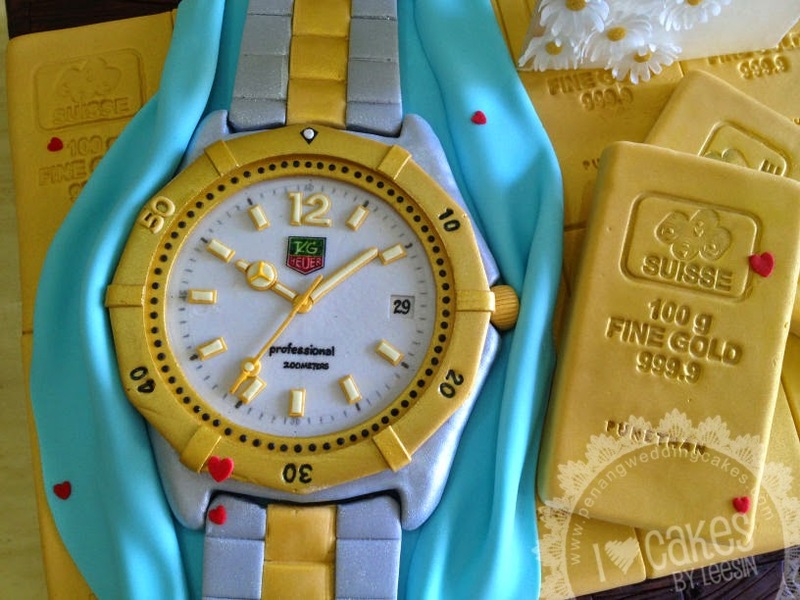 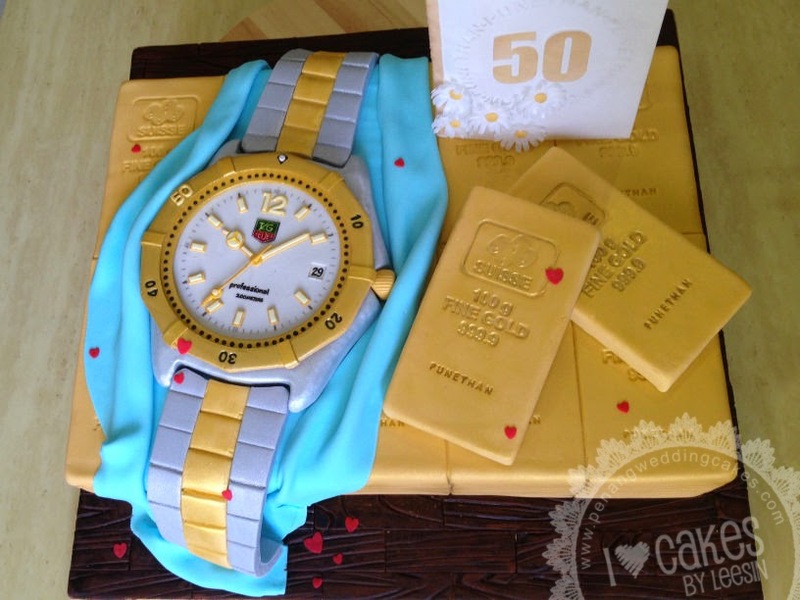 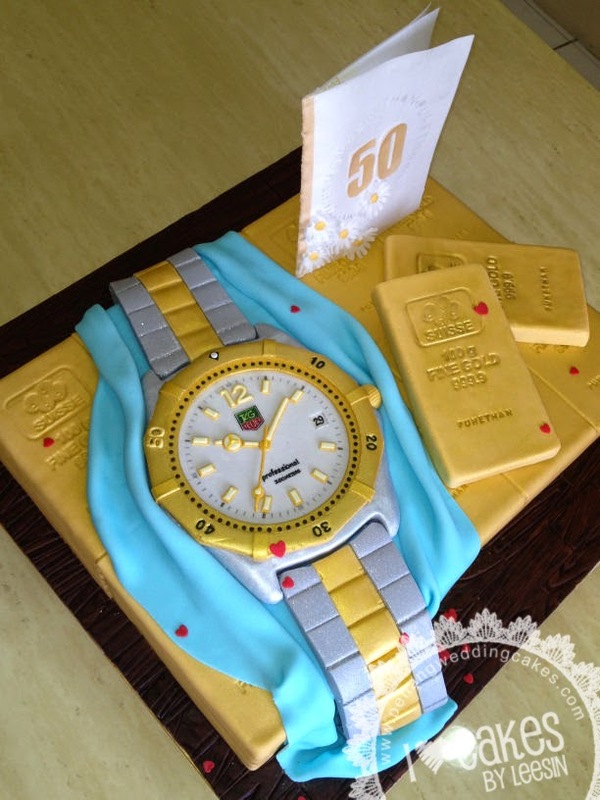 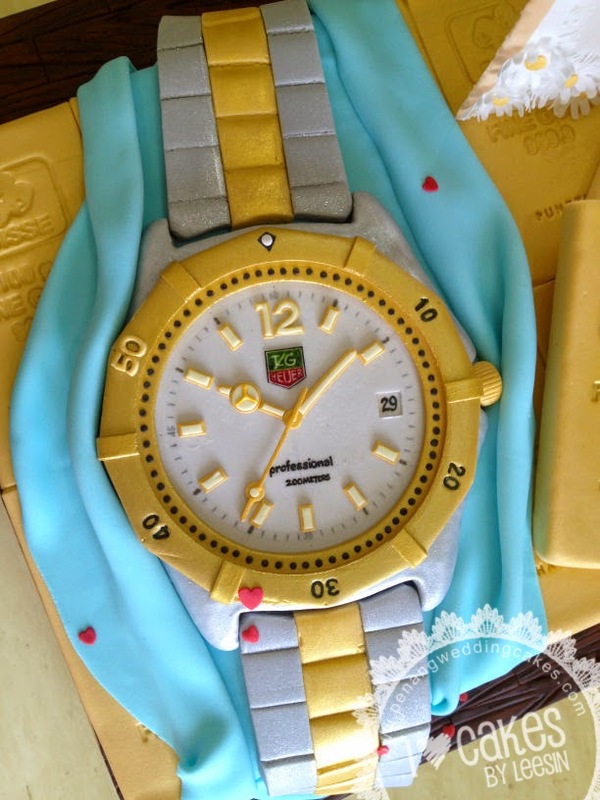 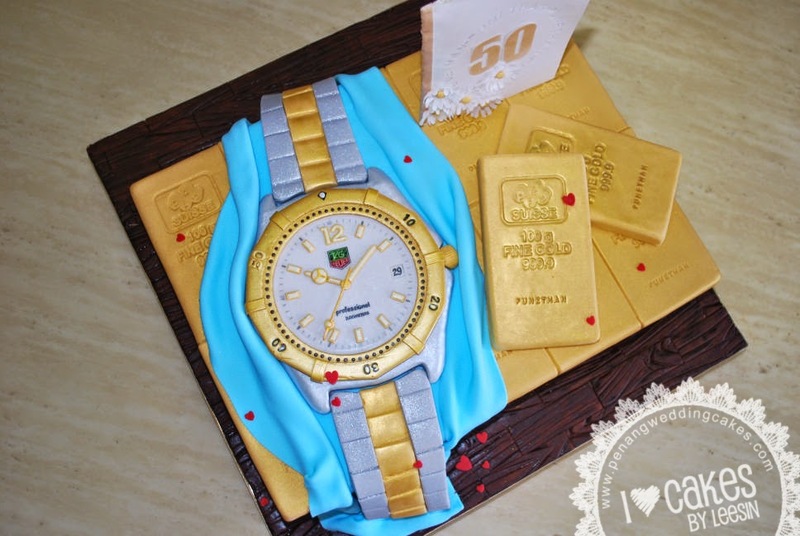 A returned customer who commissioned this cake based on the Rolex cake I made some time back. 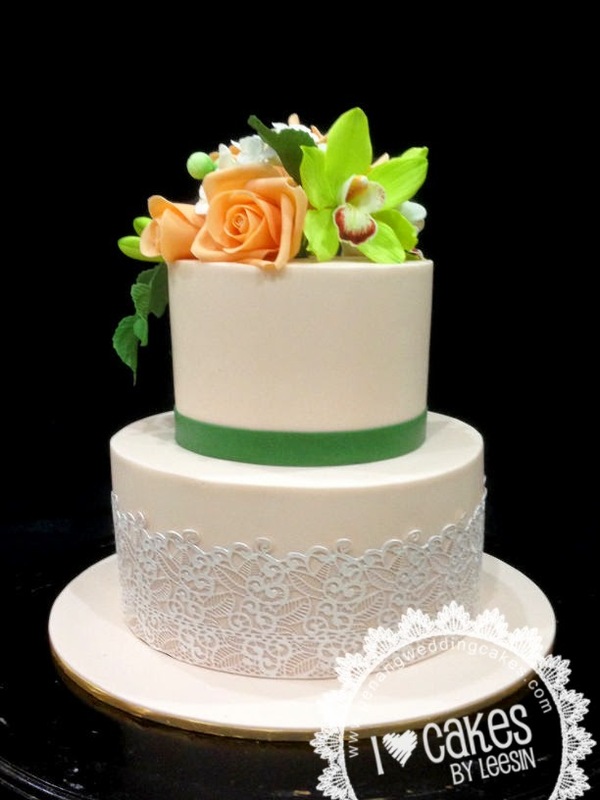 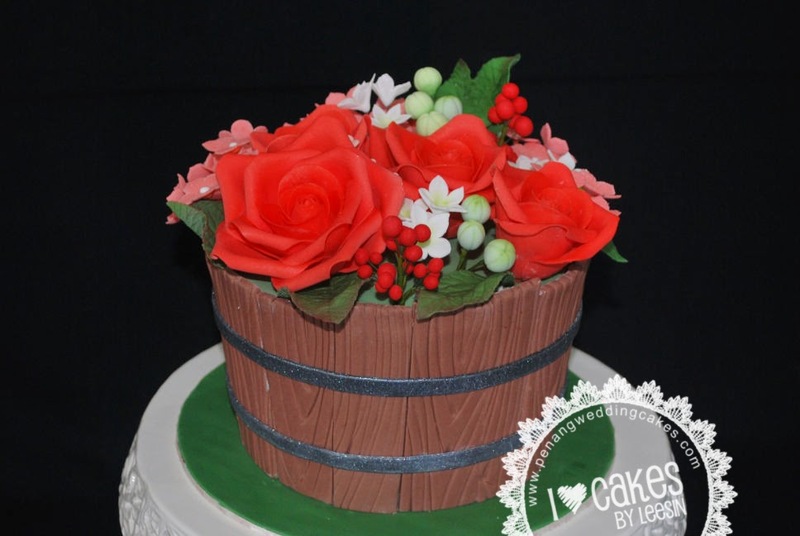 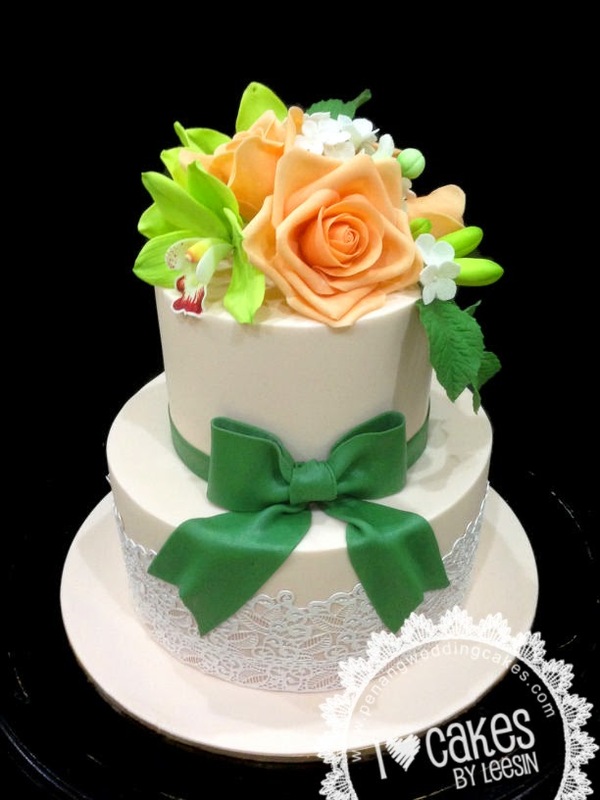 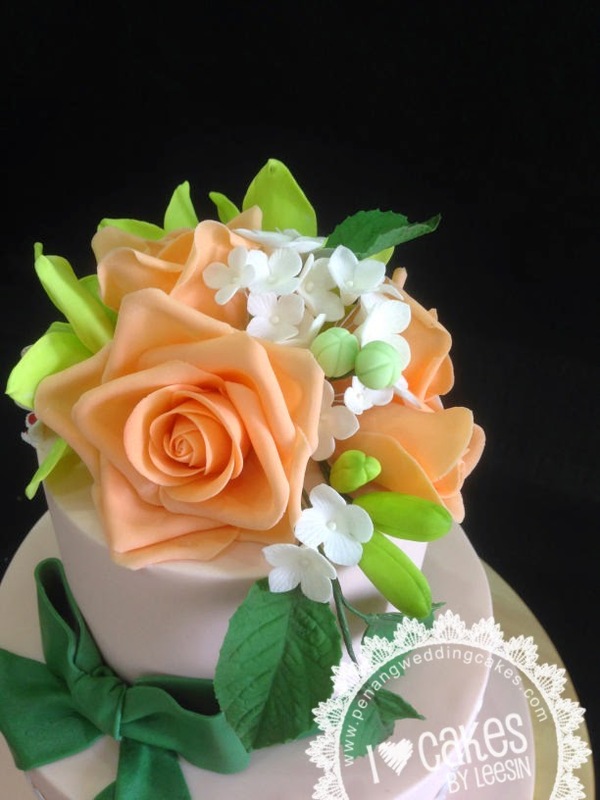 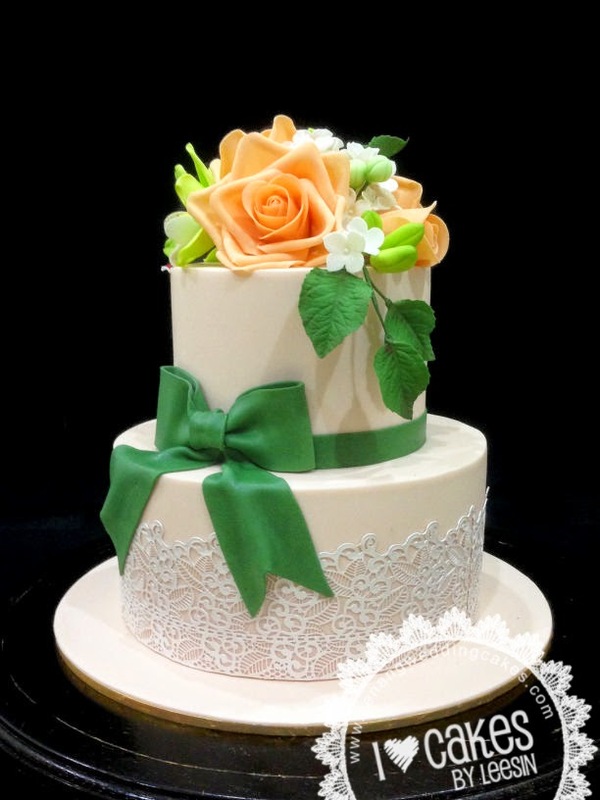 Peach and green are the theme colors for this wedding cake....commissioned by a return customer. 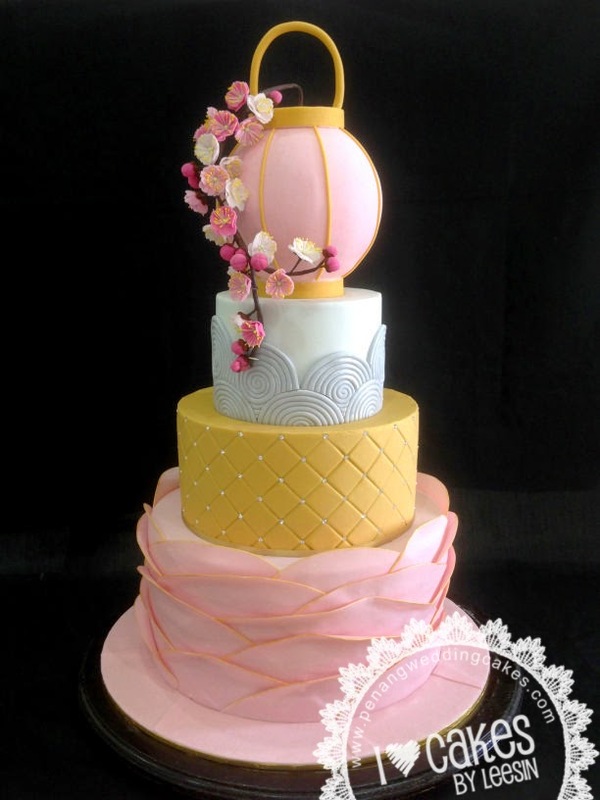 Another take on East Meets West. 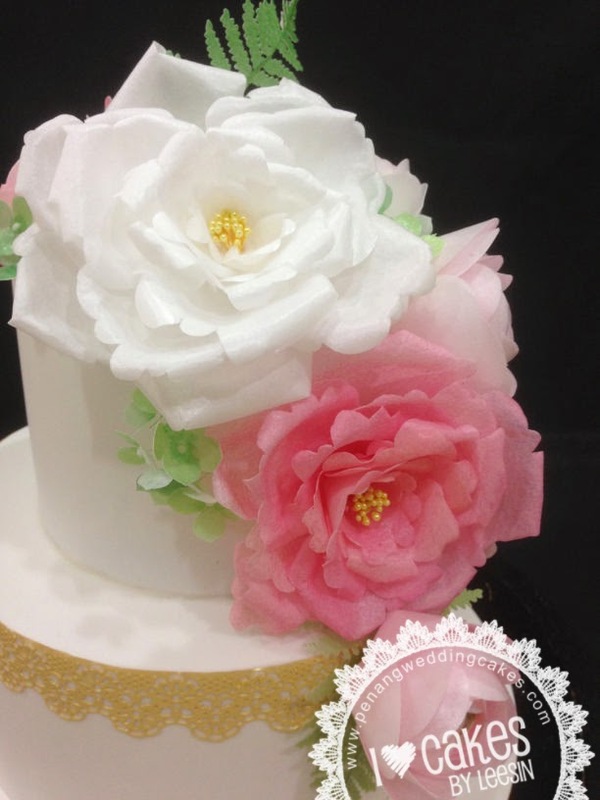 Cherry Blossom is sugar paste. 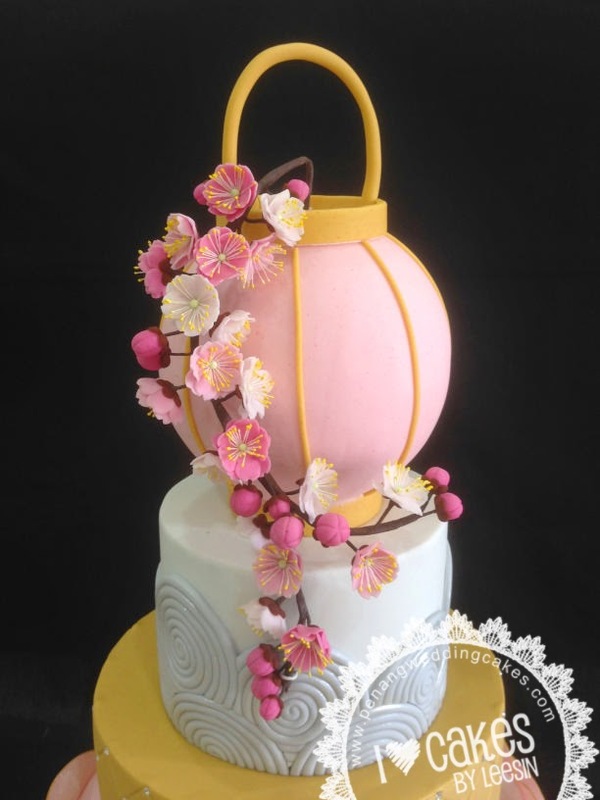 Lantern is styrofoam. 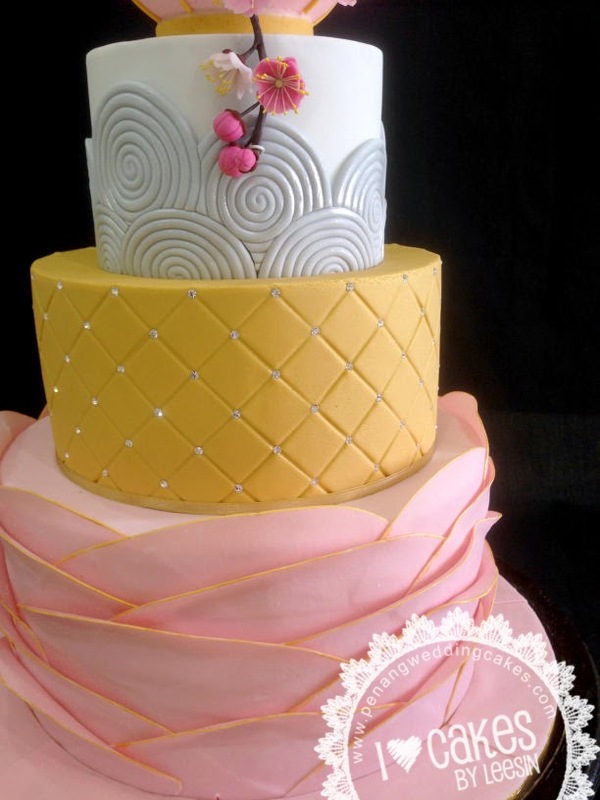 Crystals used on the gold tier is Swarovski Elements. 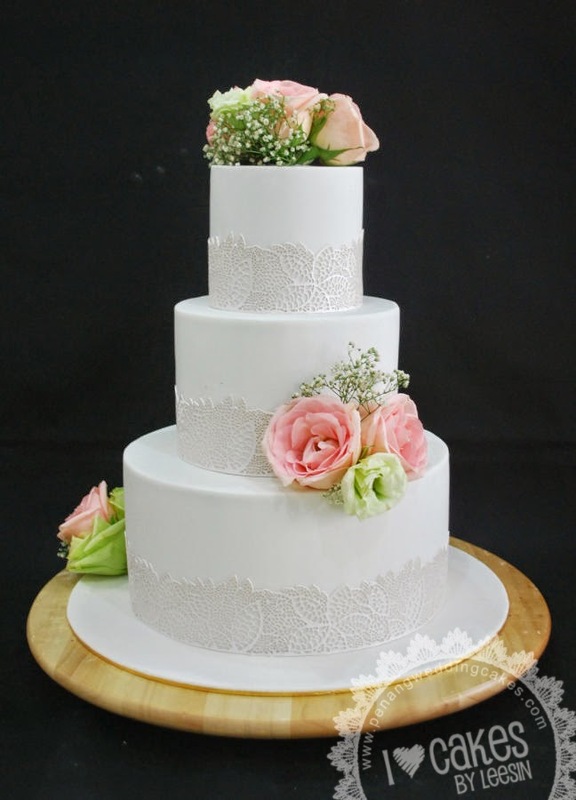 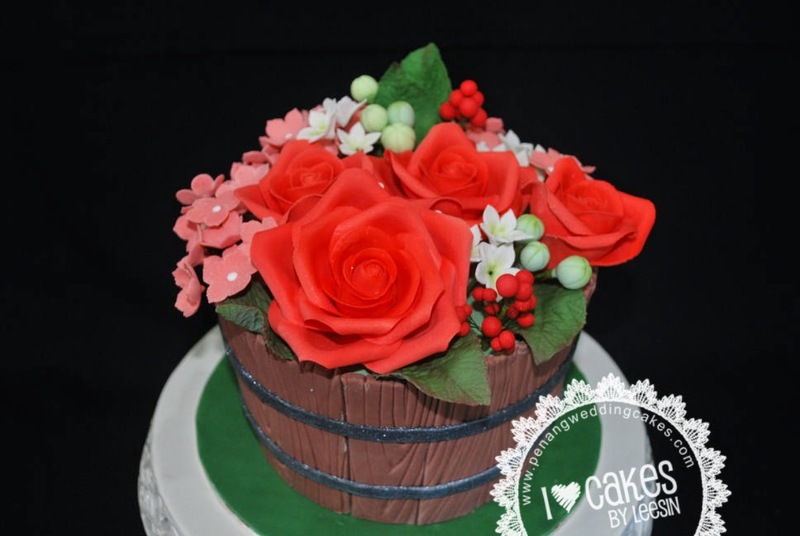 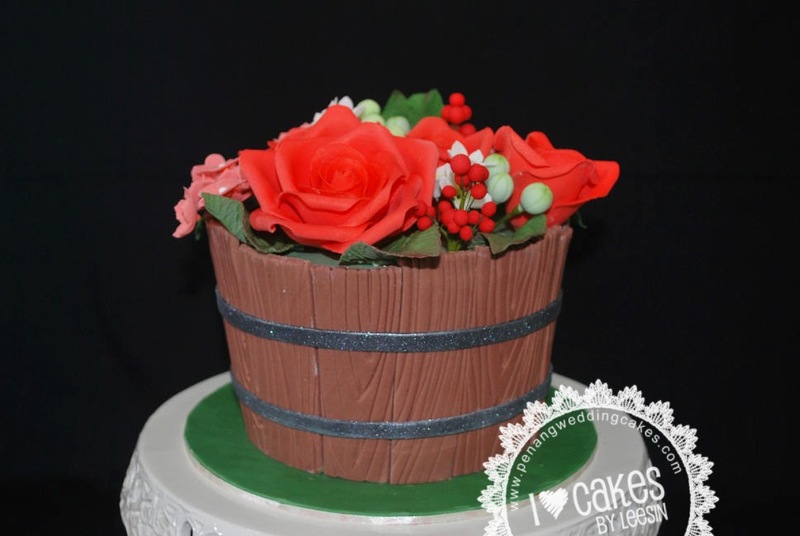 Using sugar lace and fresh roses for this 3-tier wedding cake. 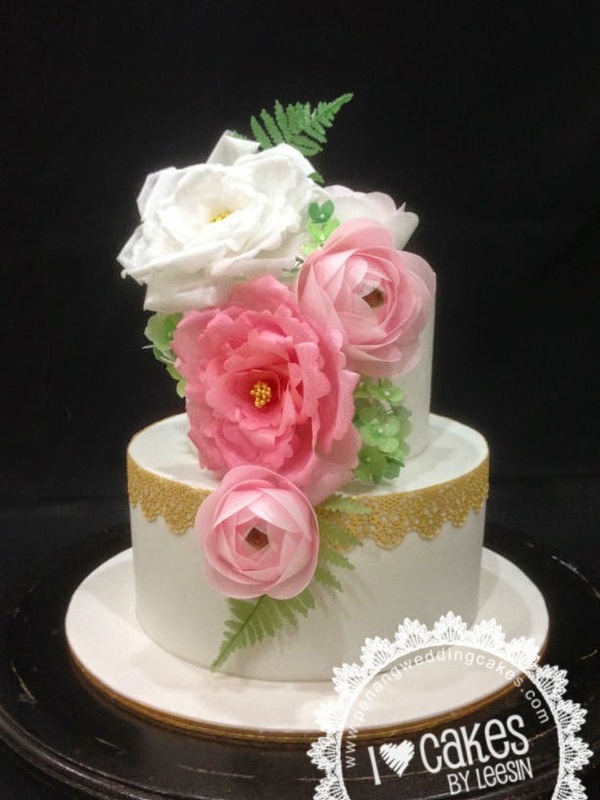 It is chocolate cake with strawberry flavored butter cream. 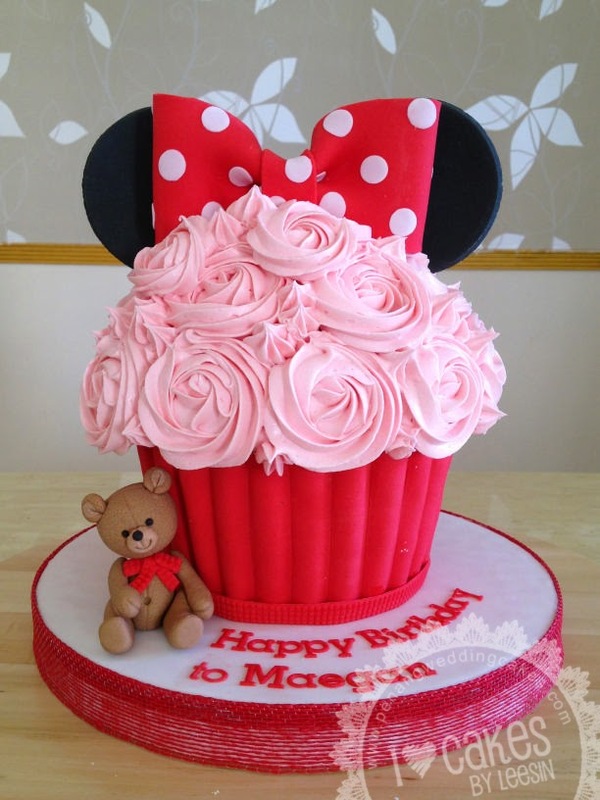 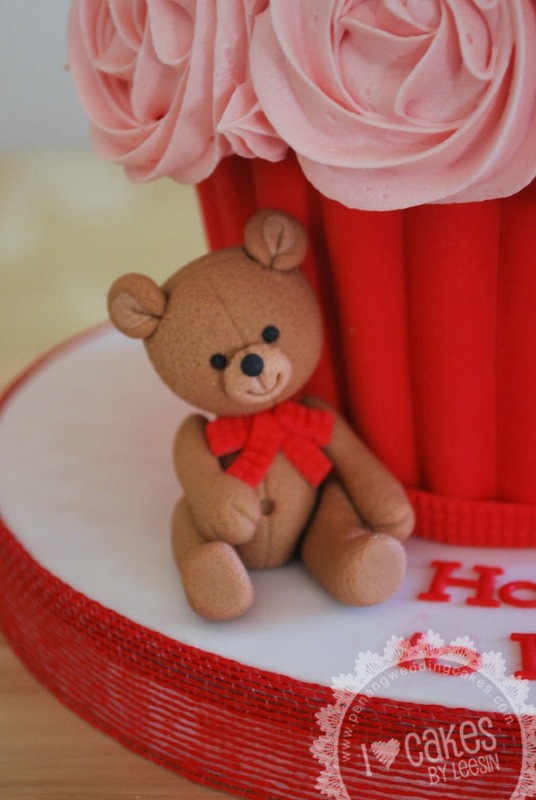 Teddy bear, ears and bow are crafted from gum paste. 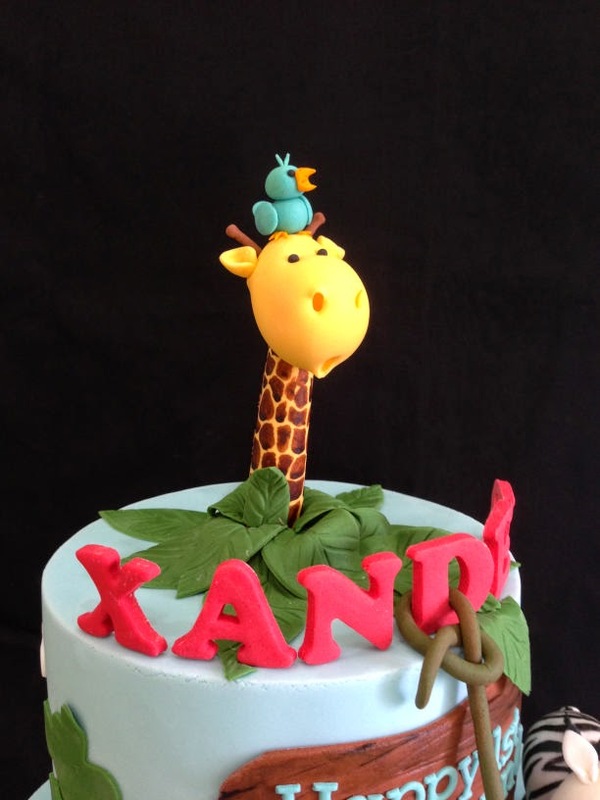 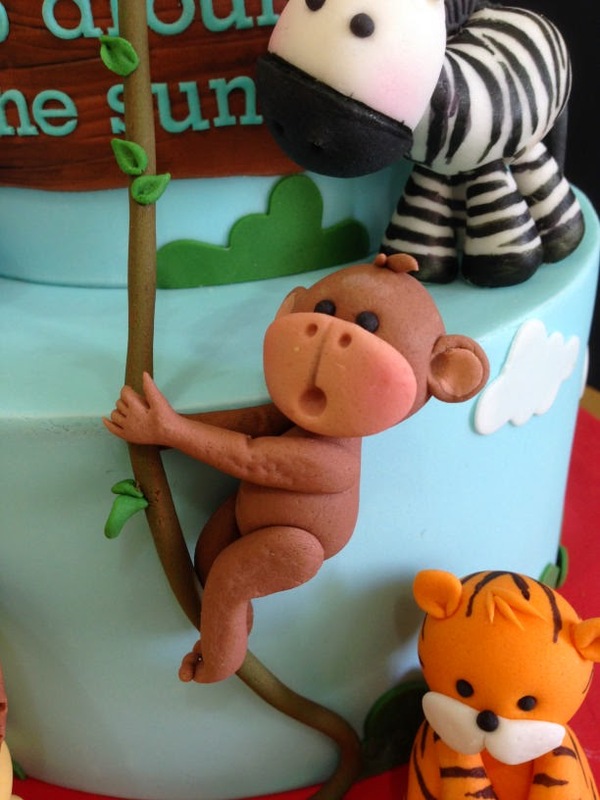 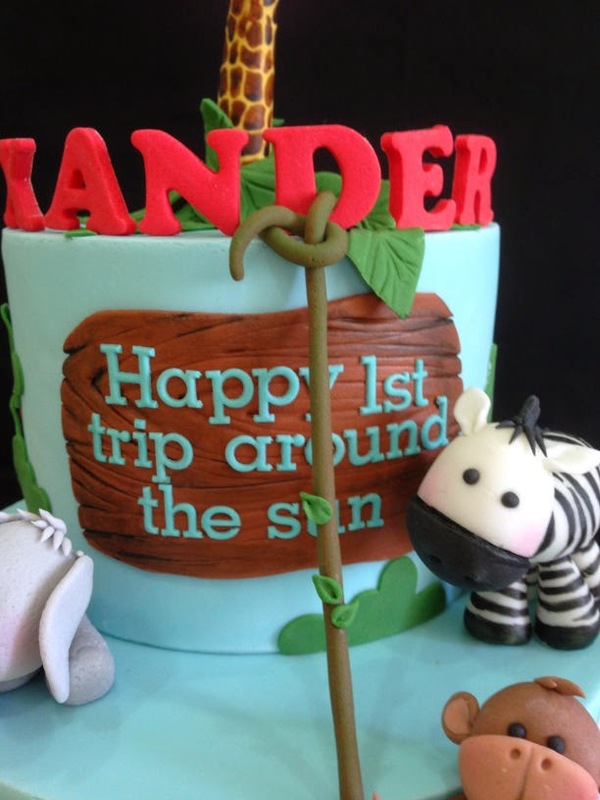 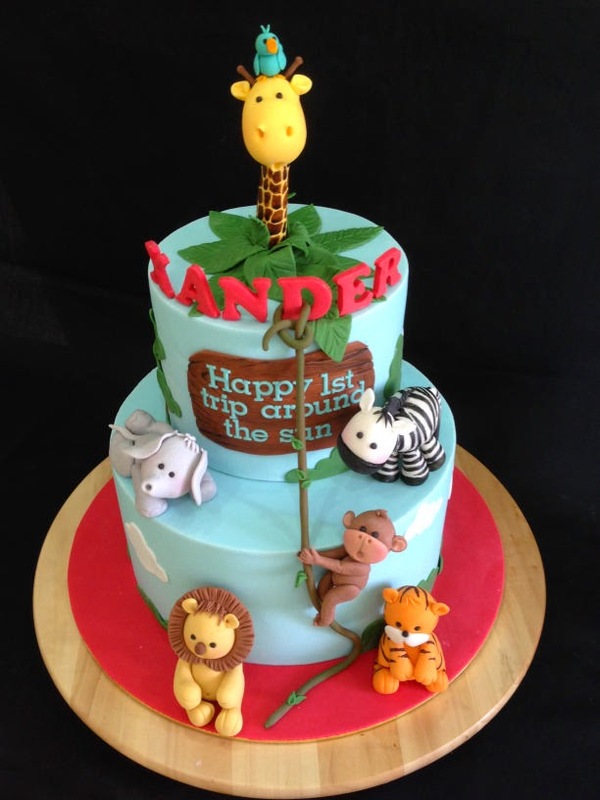 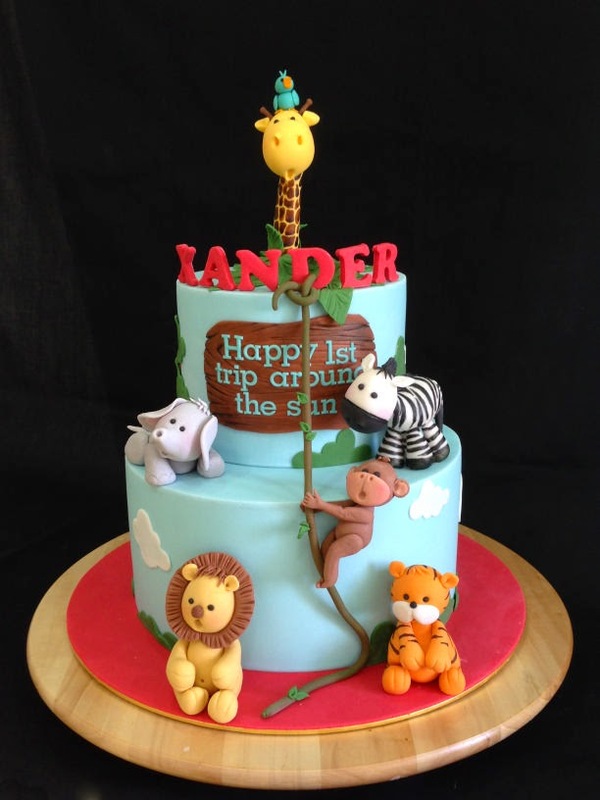 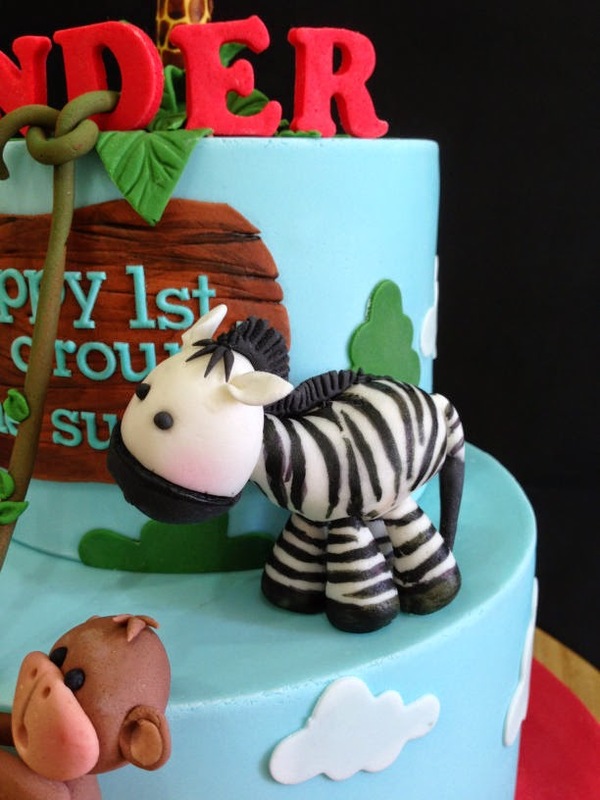 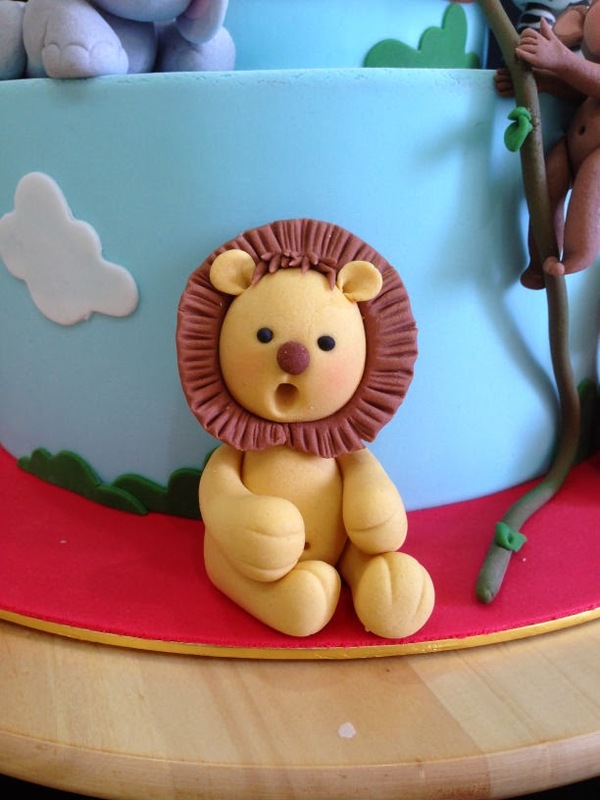 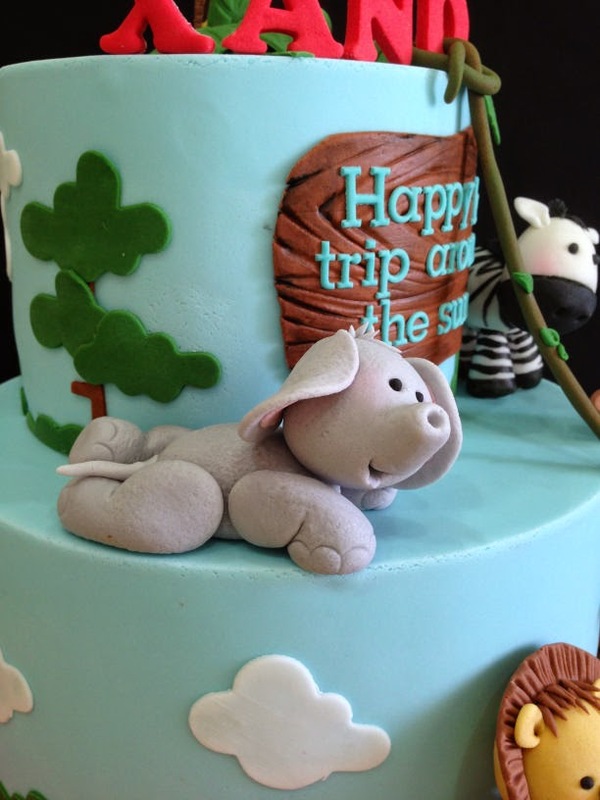 This animal cake for baby Xander who has taken his 'first trip around the sun'!!! 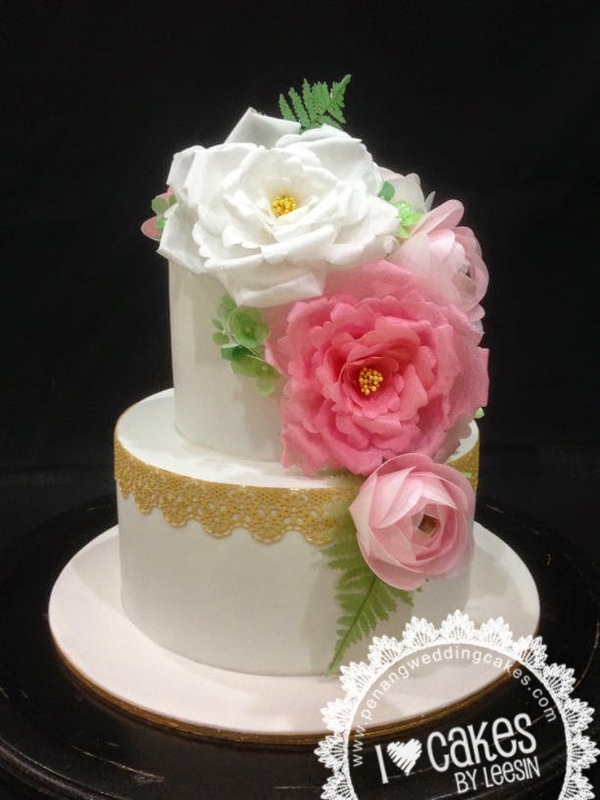 My first ever wafer paper wedding cake! 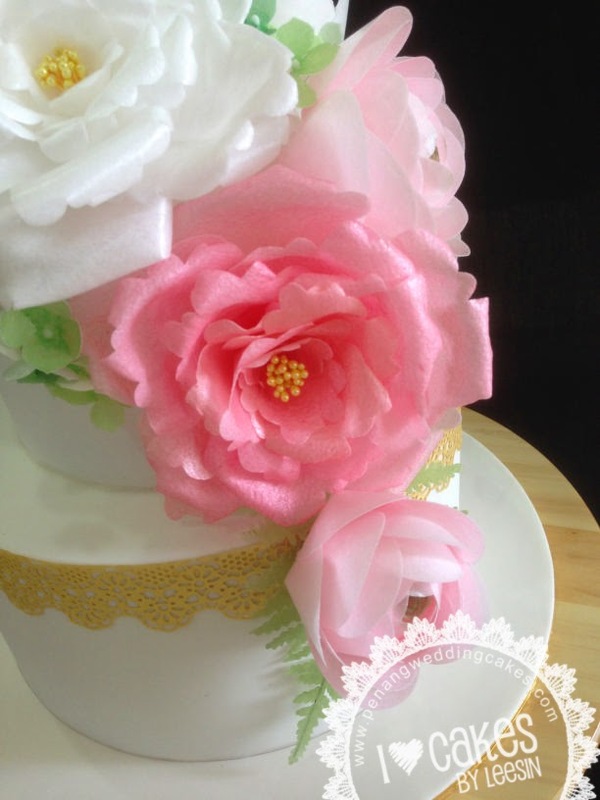 I really enjoyed making it but like always assembling the flowers together is challenging. 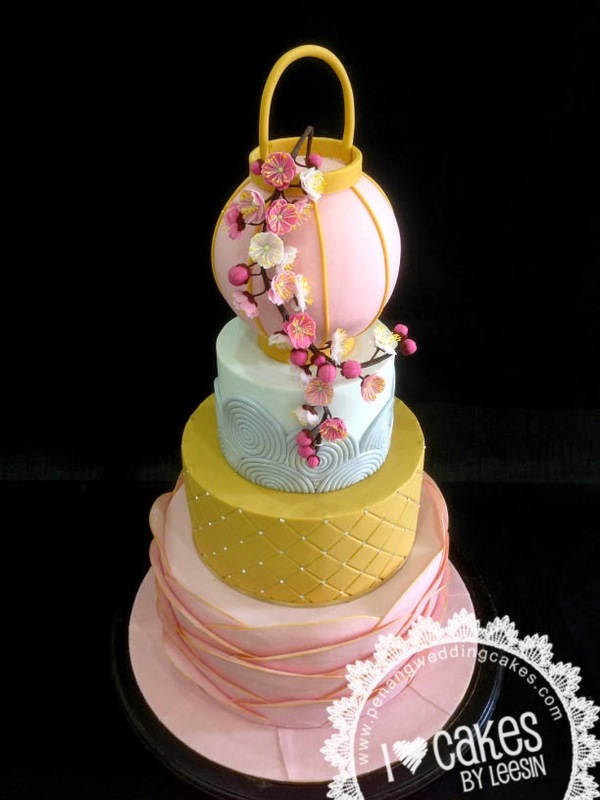 Anyway I love the finished cake. 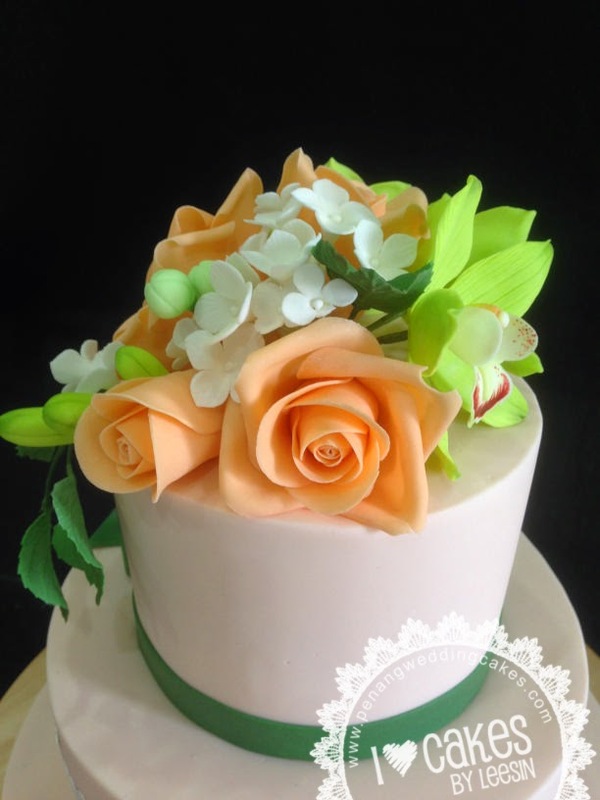 The colors are soft and wispy with the translucent petals. 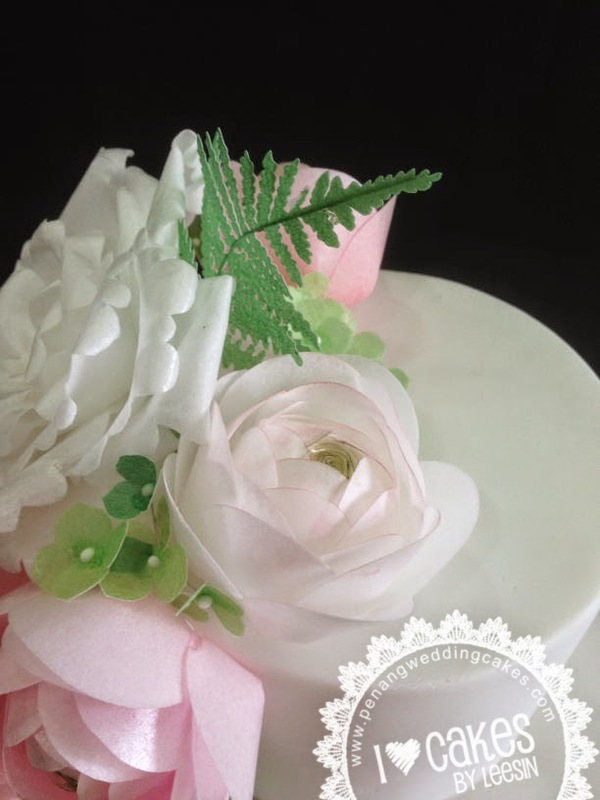 There is a mix of open roses, ranunculus, hydrangeas and ferns. 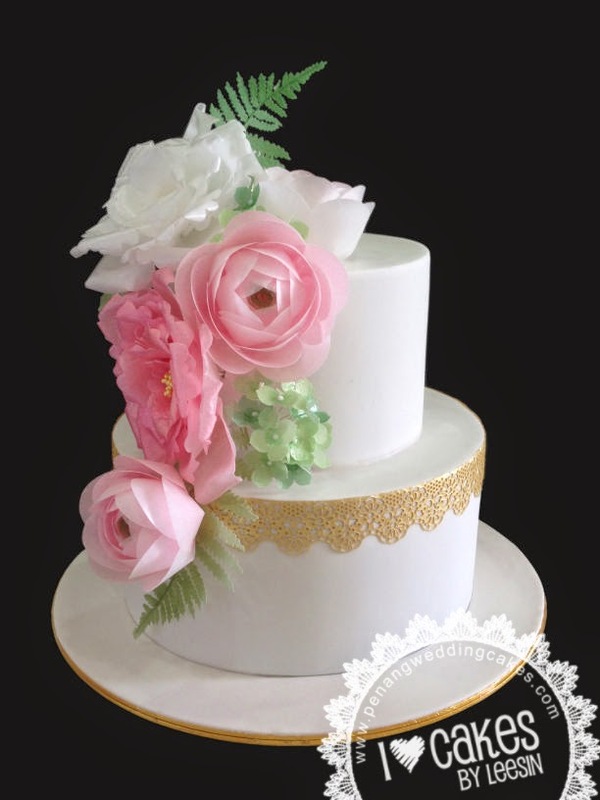 Another new attempt is the gold lace using Claire Bowman sugar lace. 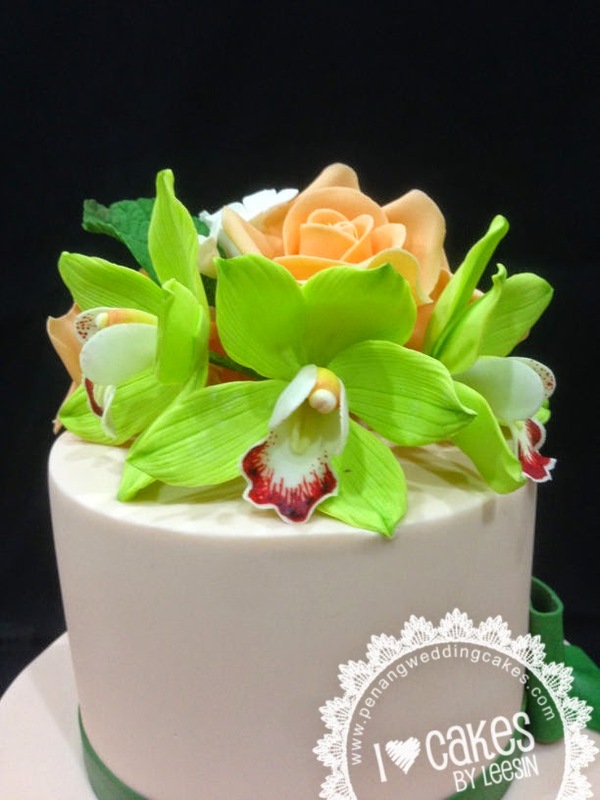 Ahhh...wishing I have more adventurous customers who wants to try this new type of flowers.